Preserving Novi’s Character: Too much, too fast? That’s how many Novi residents feel about the pace of development in Novi these days. They’ve experienced first hand how overdevelopment taxes Novi’s roads, destroys woodlands and wetlands and negatively affects their quality of life. 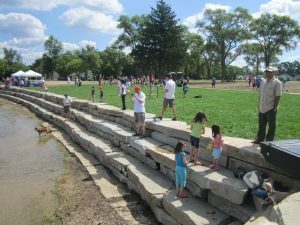 For many of us, protecting the trees and the open spaces is important to maintaining Novi’s identity as a “green” community. As your representative on City Council, I won’t blindly approve rezonings and new developments without first considering how those affect you and your neighborhood. I will insist that new development in the city follow the Master Plan, be compatible with existing neighborhoods, avoid destroying natural places and minimize the amount of new traffic. Traffic: “Too much traffic!” That’s the refrain I hear time and again from residents. They are tired of the back-ups and congestion, the long delays and the overall volume of traffic. While there are no magic wand solutions to Novi’s traffic mess, there are steps the city can pursue to help better manage traffic. The City Council should insist that any rezonings to higher density or more intense uses be matched by road improvements needed to handle the increased traffic – or just say “No”. The city needs to stop waiting on “big fixes” that cost a lot and take forever to complete. Focus instead on incremental improvements to the roads like upgrading intersections and adding center turn lanes, measures that can improve safety and traffic flow without breaking the bank. In some cases, that means partnering with other road agencies, like the Road Commission for Oakland County, to fund improvements. Residents don’t want excuses about who’s responsible for the mess, they just want it fixed! Fiscally Responsible Government: Government must live within its means, and I am committed to upholding that principle. Balanced budgets, paying down debt, prioritizing services and reducing legacy costs – I have supported these measures to keep Novi financially sound. Likewise, I have backed prudent investments in city facilities and infrastructure to keep them current and able to meet the needs of Novi residents. Ensuring that the city can pay its bills today and into the future helps guarantee that over the long-term, the city can continue to provide high quality services to Novi residents and businesses. Neighborhoods First: Good neighborhoods are the foundation of a great city. Novi residents expect and deserve safe neighborhoods with well-maintained streets. 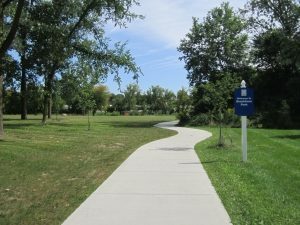 I will continue to encourage neighborhood-focused investments – like the pathway in Brookfarm Park – and services that maintain property values so Novi continues to be a great place to live. Services for Seniors: Novi’s senior population is growing every day. As residents, like my parents, reach “retirement” age, the kinds of services that they need from the city will change. For people who want to spend their senior years in Novi, the key issues are housing and transportation. Many seniors are looking to downsize but don’t find a lot of options for housing that fit their income in retirement. The city should give serious consideration to a new city-sponsored senior housing complex to meet a need that isn’t being met by the private sector. Likewise, as people age, driving can become a challenge for a variety of reasons. Novi’s senior transportation service needs to expand to meet this growing demand.